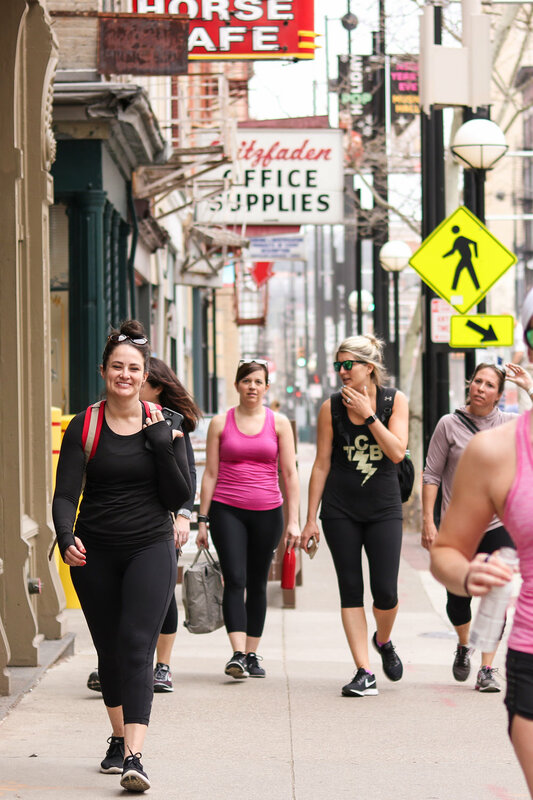 Last Saturday, our tribe of women set out on a day-long adventure exploring Downtown Cincinnati fitness hot-spots. 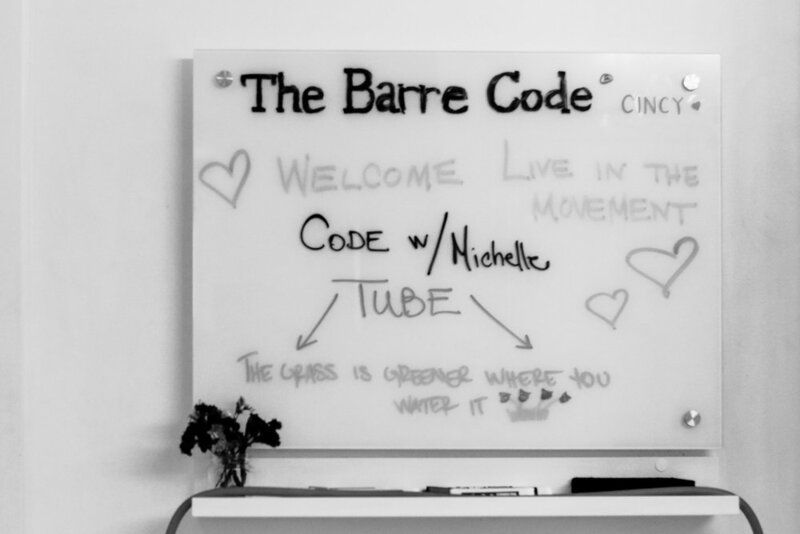 Our second stop of the day took us through the welcoming doors of The Barre Code, where owner, Michelle, took us through a 50 minute class. 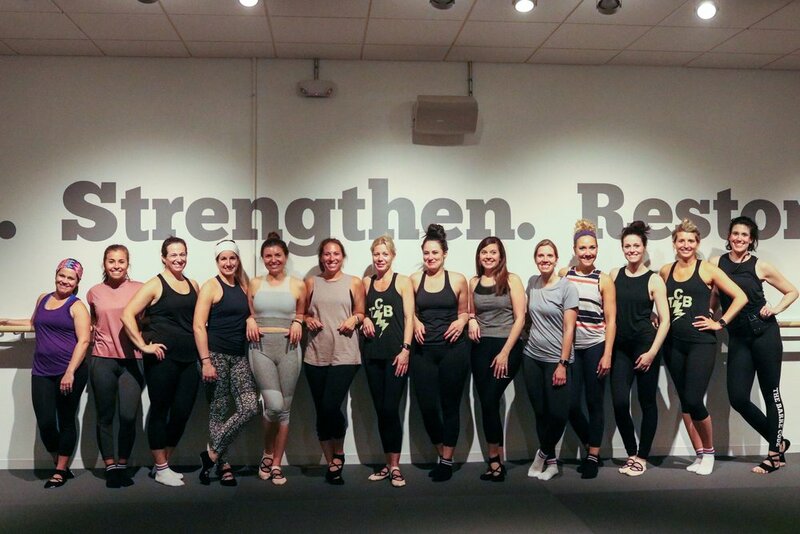 With a high impact workout already under our belts, we were ready to settle in for some low impact movement in the gorgeous studio. Note: low-impact does not equal easy, as all of these ladies will attest! Our guests were greeted with tangerine Thirty Drink (our new favorite natural rehydration beverage- oh, and its Cincinnati-based, as well!) to quench our thirst from our walk over from Sawyer Point, and we got to choose from 4 different new Lucky Honey grippy sock styles to slip on our feet! My favorite grippy sock obsession, in case you didn't know! We saddled up to the barre and got moving. My favorite thing about Michelle is that she walks the walk. Her manifesto written on The Barre Code walls around each corner is straight from her heart and out of her mouth. "The Grass is greener where you water it," "be positive, just do you, believe you can, and find your shake; your strong." and find our shake we did. 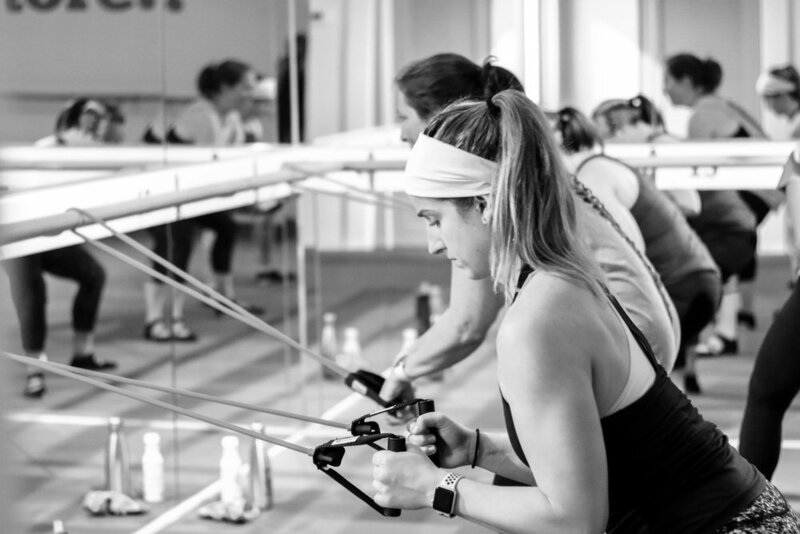 One thing I love about barre is not only is it great for ALL levels, but it is ALWAYS challenging, for any level of fitness. Michelle is approachable, warm and gives each client time, attention, and positive feedback. Everyone I spoke to from our group wanted to get back ASAP and left with a glow (ok, partially from working up a sweat) and a smile. I'll add one more tidbit about Michelle. 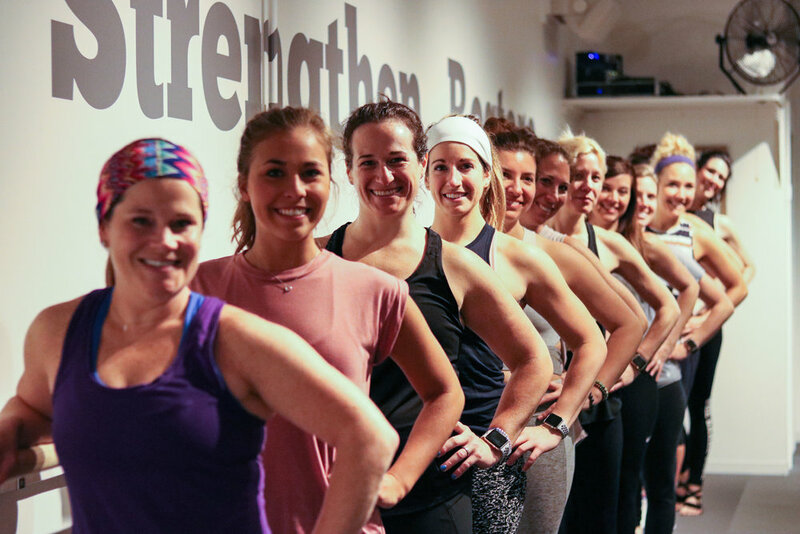 I walked into her classroom about 6 weeks after my double mastectomy, eager to be in a friendly classroom setting, but questioning my strength and endurance capacity at the same time. We talked about modifications and she made sure that I left feeling confident and strong again. That moment meant the world to me and that same individualized attention she gives each client is why she has such a strong downtown following! 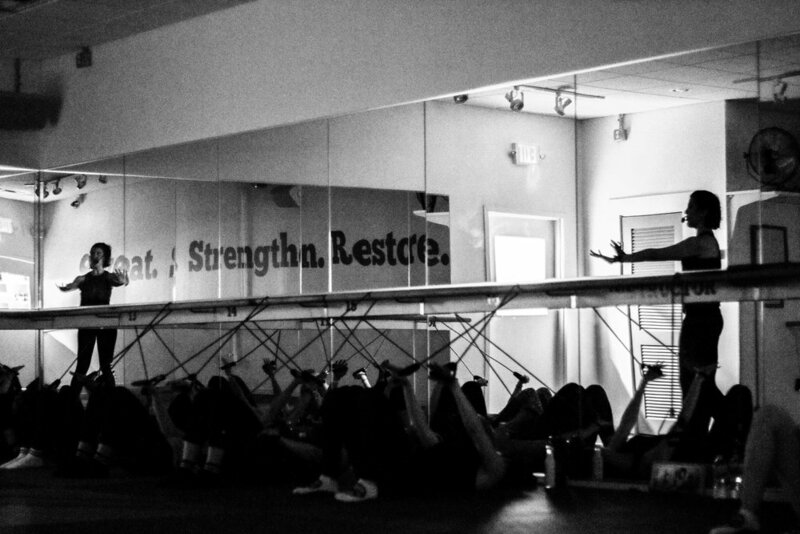 So if you work or live downtown, The Barre Code has a variety of classes and convenient times, even falling during your lunchbreak! And if you don't, grab your workout buddies and schedule an outing for the weekend. We are so lucky to have so much at our fingertips in Downtown Cincinnati and I encourage you to try something new. You won't regret it!